Your cat may have a urinary tract infection, urinary crystals, bladder stones, or external infections such as urethritis or vaginitis. It could even be pain caused by a seemingly unrelated problem such as an abscessed tooth or arthritis. Why? If your cat feels pain or discomfort when she uses the litter box, she doesn’t understand that the pain is coming from her kidneys or broken tooth, or whatever the cause. She just knows that litter box=pain, so she’ll try to find another place to eliminate, hoping that will make the pain end. But urinating on the bedroom carpet doesn’t ease her pain either, so she tries another spot, and the cycle continues! Stress can come from changes in your household: moving, the birth of a child, the addition of another pet, etc. These stresses may cause not only litter box problems, but they may aggravate existing medical conditions. When possible, introduce changes gradually, and allow the cat to explore new people and things at her own pace. You can help your cat cope by providing a “safe room” for your cat – a place where she can go to escape the stress. The safe room must have food, water, litter boxes, a comfortable kitty bed, and some toys. Put a baby gate in the doorway to discourage unwanted visitors. Introduce the cat to the safe room, but you don’t need to confine her there; let her use it when she feels the need. Cat condos and cat trees are important to stress management. A tall sturdy cat tree gives your cat a secure perch from which to view what’s going on, and it gives her a place to escape. This is particularly important if you have small children, dogs, or multiple cats. The height offers your cat safety and a feeling of control. It is especially comforting to them if they can view multiple rooms from a single vantage point. Consider using Feliway, which is a synthetic product that mimics feline facial pheromones and helps a cat feel at ease. It is available in a spray as well as an electric diffuser. We offer behavioral counseling and a variety of educational handouts that may help you make your cat more content and less stressed. Feliway (described above) can help with aggression issues. You can also call us to discuss other behavior modification options, including medication. There are several factors to consider, including the number and size of the boxes, location, type, litter box filler, etc. 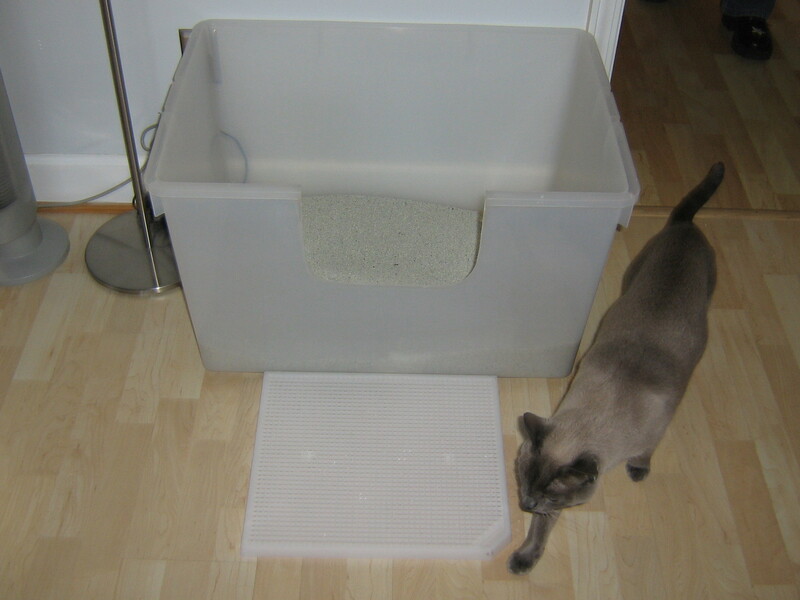 Inappropriate elimination could be the result of having too few litter box locations, using the wrong size or type of box, placing the boxes in inappropriate locations, or using the wrong litter box filler. There are several odor-eliminator products on the market, but the enzyme-based cleaners tend to work the best. The product that we recommend most frequently is Magic Zymes. We also suggest Veterinary Strength Outright Stain and Odor Remover and Urine Off. Engage your cat in interactive play at the site or train your cat to do simple behaviors there to change their perception of that space. Spray Feliway on the area once daily, then gradually decrease and use as needed. Note that the enzyme cleaner breaks down the pheromones in Feliway, making it ineffective, so don’t use enzyme cleaner on surfaces marked with Feliway. There is always a reason; it is up to us to figure it out. What they are doing may be undesirable to you, the human, but to the cat it is instinct. There are many things you can do to prevent behavioral litter box problems. It’s far easier to prevent these problems than to resolve them after they start. Always remember that your cat’s relationship with the litter box is complex and emotional. It’s not just a feline toilet!